The North Korean government recently announced that its nuclear facilities at Yongbyon are fully operational, with the capability of producing enough plutonium to enlarge its nuclear arsenal by approximately one bomb annually. But this announcement represents only one part of a broader narrative of its socioeconomic transformation. A story of great significance in this transformation is bubbling up at street level. 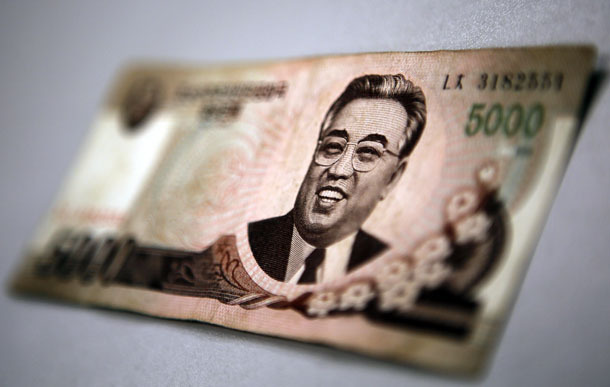 The rise of a class of nouveau riche North Koreans – the Donju (“money masters”) – is changing the dynamics of the nation’s economy and reshaping the relationship between the Kim government and the North Korean people. The Donju’s story began in the mid-1990s during North Korea’s period of famine and economic collapse. Grassroots entrepreneurialism sprang up at this time as a coping mechanism through which people were able to access food and other important consumables at a time when the state was unable to provide those things. The official government ration – the Public Distribution System – essentially fell apart because the government did not have the resources to fulfil those commitments. The Donju evolved from the grassroots entrepreneurial activity that arose during this time. They started out as people trading consumable goods in private markets, who then built up enough savings to invest in more substantial business ventures such as billiard halls or karaoke rooms. Restrictions on such activities have relaxed through the 2000s. Often these individuals had access to foreign currency through relatives or through other activities. This, together with their business ventures, helped them amass relatively substantial private savings. In the past, every time this nascent middle class has risen to a certain level, the government interpreted a potential political threat and tried to strip their economic power. The infamous 2009 currency revaluation was one such attempt by the government to devalue the currency holdings of this group and mute their political power. However, the Donju class has now reached a size where such interventions are not quite so practical. What influence do they have today? Today, the Donju have acquired a degree of wealth where they can invest in larger enterprises. There is now an alignment of interests between the government and the Donju. A de facto alliance has evolved between the government and members of the group to finance some of the development activities that the government is struggling to finance itself. As part of its Byungjin Line policy of parallel economic and nuclear weapons development, the government has shown increasing interest in emulating the special economic zones (SEZ) development model pioneered in China under Deng Xiaoping during the 1980s. Wherever you find accumulations of money and wealth in North Korea you are likely to find Donju, particularly around the SEZs where development activities are predominantly taking place. North Korea established its first SEZ in Rason during the early 1990s. Rason is a joint port facility based around the cities of Rajin and Sonbong, near the tri-border area with China and Russia. The North Korean government liked that at the time, because it was a long way away from Pyongyang. It thought it could isolate any marketisation and restrict the threat of capitalist contagion to the rest of the country. Only in the last few years has the Rason SEZ really started to take off. There is significant Chinese and Russian investment activity in Rason, which requires joint venture partnerships with local entities. The Rason SEZ is linked to Russia’s Far East development strategy and is also helping the Chinese government realise its development goals in Jilin Province. The interaction here between the North Korean government, foreign investors and private capital from within North Korea is a significant departure from the Stalinist command economy model that dominated North Korea during the Cold War. The Donju’s political impact does not end there. Pressure for political change in North Korea may grow when the size of this nouveau riche class reaches a size where they may become an agitating force if their newly acquired social position becomes threatened – either by government interference or an unforeseen shock event. It is a distinct possibility that North Korea will undertake another nuclear test, and further long-range missile launches to operationalise its nuclear weapons capability, to perfect the security half of the government’s Byungjin Line policy. Nonetheless, if we focus obsessively on the nuclear weapons issue, we risk failing to notice the social forces that are transforming North Korea from below, under the radar of high politics. The author would like to thank the speakers who presented at the Doing Business in North Korea: Business and Finance in the DPRK conference hosted by the Institute for Far Eastern Studies in Seoul on June 10, 2015, for their insights on this topic. You can listen to Benjamin Habib in conversation with Nick Bisley about the impact of North Korea’s development and the emergence of the “Donju” in this podcast, produced by La Trobe Asia, below. Benjamin Habib, Lecturer, School of Social Sciences, La Trobe University.